On February 6, 1922, a detachment of 20 enlisted men from Luke Field, proceeded to Schofield Barracks, under Lt. William Agee, to clear the flying field and construct housing for the divisional air service. Two canvas hangars were erected and the field cleared of weeds, guava and algeroba trees. Thus Wheeler Field got its modest start. It was named Wheeler Field on November 11, 1922 in honor of Major Sheldon H. Wheeler, former commander of Luke Field on Ford Island, who died in a plane crash on July 13, 1921. In June of 1923, 13 months after the designation of the new flying field, shop hangars, airplane hangars, and oil storage tanks were erected. In 1927, one of the wooden shop hangars was remodeled to provide space for a barracks and a mess hall incident to the formation of a pursuit group. It was not until 1930 that any permanent construction was started. Many different units had been originally stationed here. 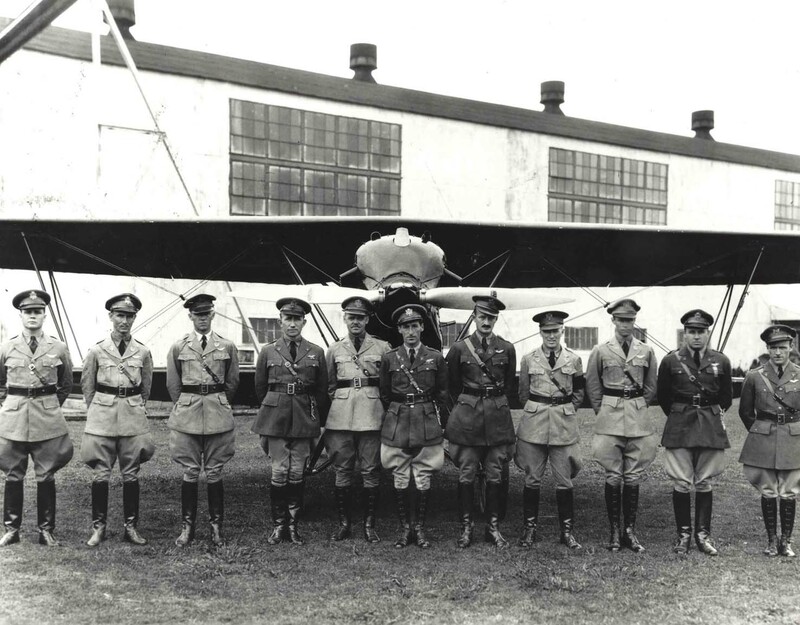 The first units of the Schofield Barracks divisional airdrome were the 4th Observation Squadron, Photo Section No. 11 and Branch Intelligence Office No. 11. In October 1922 the photo section and intelligence units were returned to Luke Field. 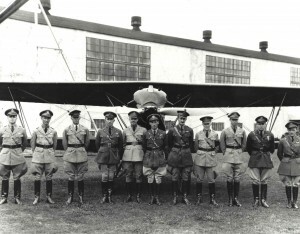 The following May, the 17th Composite Group was organized at Wheeler Field. It consisted of a Headquarters Squadron, the 19th Pursuit Squadron and the 4th Observation Squadron. These units operated from the field until January 1924, when the 17th Group was rendered inactive. Three years later, the foundation for the present 18th Pursuit Group was laid and the 6th and 19th Pursuit Squadrons were transferred from Luke Field. More squadrons were eventually added to the 18th Pursuit Group and Bellows Field was opened as an aerial gunnery camp for the use of tactical organizations. The 15th Pursuit Group was formed next and was made a permanent part of the airdrome. Hand in hand with this move came the formation of the 14th Pursuit Wing. Wheeler was the site of several major historic aviation events, including the first nonstop Mainland-to-Hawaii flight by Army Air Corps Lieutenants Lester J. Maitland and Albert F. Hegenberger in 1927; the Great Dole Derby air race from California to Hawaii, also in 1927; the first trans-Pacific flight from the Untied States to Australia by Australian Squadron Leader Charles E. Kingsford-Smith in 1928; and the first Hawaii-to-Mainland solo flight in 1935 by Amerlia Earhart, who flew from Wheeler Field to Oakland, California. When the Japanese attacked military installations in Hawaii on December 7, 1941, 12 pilots assigned to the 15th Pursuit Group at Wheeler (predecessor of the 15th Air Base Wing) succeeded in getting their P-36 and P-40 aircraft off the ground, engaged the enemy in furious dogfights, and scored some of the first American victories of World War II (10 downed enemy aircraft). Casualties at Wheeler totaled 33 killed and 75 wounded. Of the 233 aircraft assigned to the Hawaiian Air Force, 146 were in commission before the attack; afterward, only 83 were in commission (including 27 P-40s) and 76 had been totally destroyed. During World War II and until 1949, Wheeler was assigned to the Seventh Air Force (former Hawaiian Air Force) and successor commands. In 1948, Wheeler Army Air Base was redesignated Wheeler Air Force Base. The following year, the installation was placed on minimum caretaker status; however, with expansion of the Air Force during the Korean conflict, Wheeler AFB was restored to fully operational status in 1952. On February 24, 1952, the 1508th Support Squadron was organized to provide administrative and logistical support to activities at Wheeler AFB. The unit was redesignated the 6487th Support Squadron on April 1, 1955, then inactivated on November 1, 1971, concurrent with activation of the 15th Air Base Squadron. A subordinate unit of the 15th Air Base Wing, the 15 ABS served as the host organization at Wheeler AFB, which consisted of approximately 1,389 acres of land and facilities valued at over $37 million. Responsibilities of the 15 ABS included providing munitions service and support to all Air Force activities within the Hawaiian area, in addition to operating a small arms firing range where personnel of the Air Force, U.S. Customs and local law enforcement agencies were certified. In August 1987, the Secretary of the Interior designated Wheeler AFB as a National Historic Landmark, recognizing it as a site of national signifcance in the history of the United States and, in particular, World War II in the Pacific. The 15th Air Base Squadron inactivated at Wheeler on 31 October 1991, one day before the U.S. Army assumed operational control of the installation in accordance with a memorandum of understanding signed by the Commander in Chief, Pacific Air Forces, and the Commander, US Army Western Command. On November 1, 1991, the Army held a simple ceremony to signify their takeover of the base, then changed the sign at the main gate to Wheeler Army Airfield. The installation, however, remained on the real property records of the 15th Air Base Wing until 15 March 1993 when an Action Memorandum signed by the Deputy Assistant Secretary of the Air Force (Environment, Safety and Occupational Health) and the Deputy Assistant Secretary of the Army (Installations and Housing) authorized the exchange of Wheeler AFB for Fort Kamehameha Military Reservation.